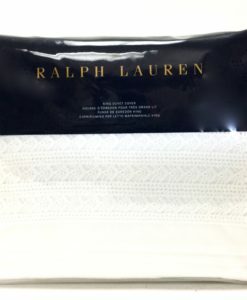 This Ralph Lauren Baxter King Coverlet boasts a raised geometric pattern adds effortless elegance and subtle dimension. 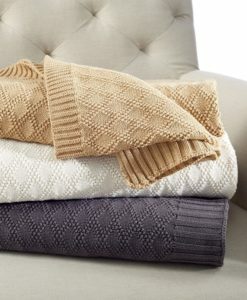 This 100% cotton blanket will be a wonderful addition to compliment your currents ensemble. 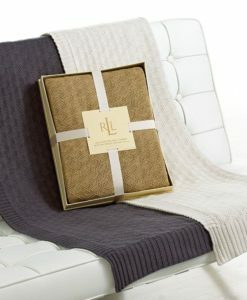 This Ralph Lauren Baxter Queen Coverlet boasts a raised geometric pattern adds effortless elegance and subtle dimension. 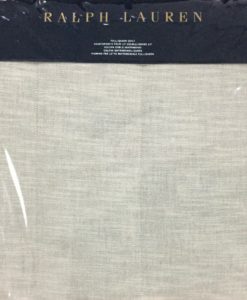 This 100% cotton blanket will be a wonderful addition to compliment your currents ensemble. 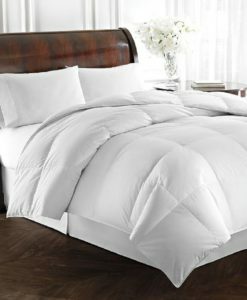 This Ralph Lauren Camel Haberdashery Beckett Queen Duvet Cover features luxe textiles for a sumptuous look and feel. A sophisticated palette of camel and white hues gives the menswear-inspired set an elevated sensibility. Cozy up! 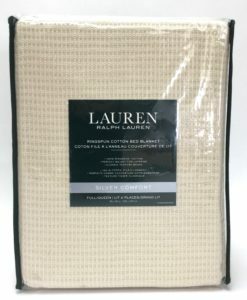 With this plush Ralph Lauren Gold Comfort White Goose Down Comforter. 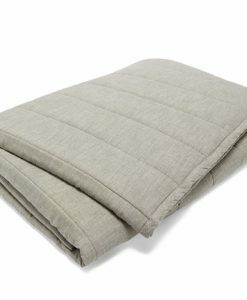 This goose down fill adds maximum comfort with a luxurious 500-thread count cotton dobby stripe cover. 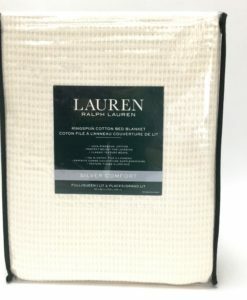 This comforter from Lauren Ralph Lauren wraps you warmth for a restful night’s sleep. Baffle box construction prevents fill from shifting for maximum loft. 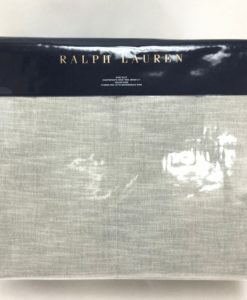 This Ralph Lauren Grey Haberdashery Queen Coverlet is inspired by Ralph Lauren’s Menswear. 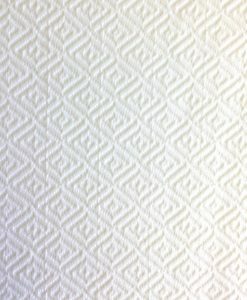 This quilted coverlet is crafted from smooth cotton and evokes the sophisticated look and feel of a summer suit! for a complete look or add to your current ensemble. 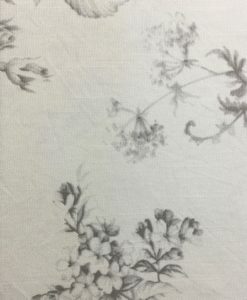 This Ralph Lauren Hoxton Ainslie Standard Sham is a delicate floral print gets a modern update in this serene cotton sham. 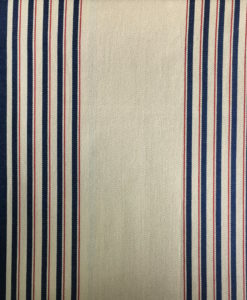 Match this with the Ralph LaurenArlington King Quilt for a complete look or add to your current ensemble. 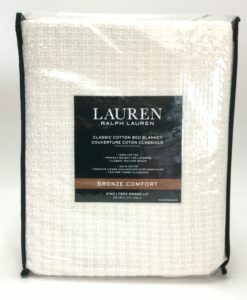 Crafted from soft cotton in a smoky gray hue, the Ralph Lauren Hoxton Arlington King quilt will add elegant texture to any well-appointed room. Add a burst of sophistication to your bedroom set with this must-have. 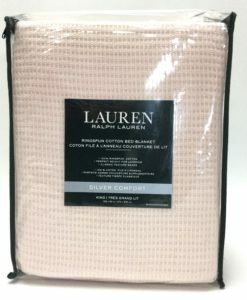 Crafted from soft cotton in a smoky gray hue, the Ralph Lauren Hoxton Arlington Queen quilt will add elegant texture to any well-appointed room. 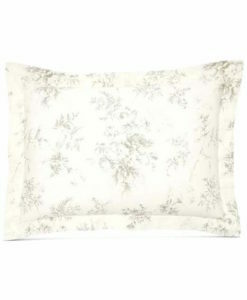 Add a burst of sophistication to your bedroom set with this must-have. 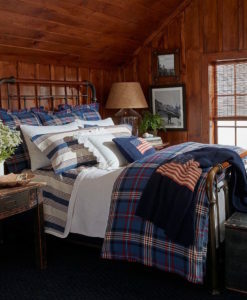 Part of Ralph Lauren’s Saranac Peak bedding collection, this Ralph Lauren Saranac Peak Bentwood Queen Duvet Cover is inspired by the rustic style of a mountain cabin. 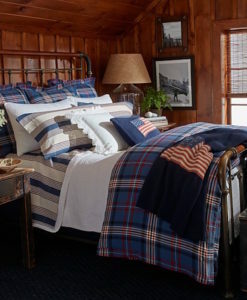 Part of Ralph Lauren’s Saranac Peak bedding collection, this ultra-soft Ralph Lauren Saranac Peak Clara King Coverlet is inspired by the rustic style of a mountain cabin. 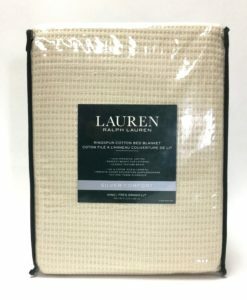 Part of Ralph Lauren’s Saranac Peak bedding collection, this ultra-soft Ralph Lauren Saranac Peak Clara Queen Coverlet Set is inspired by the rustic style of a mountain cabin. 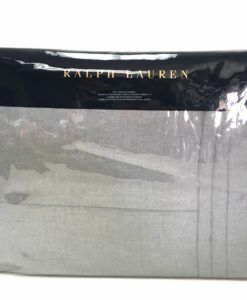 Add a touch of luxury to your bedroom with this Ralph Lauren Saranac Peak Corbet Cal King Fitted Sheet. 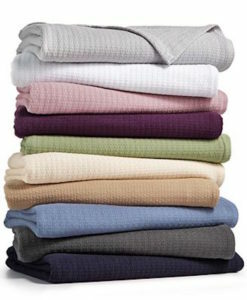 This 200 thread count yarn-dyed cotton sheet will fill you with soothing comfort. 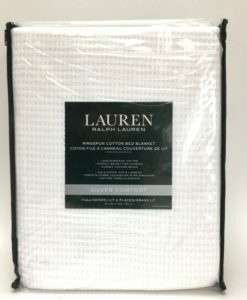 Add a touch of luxury to your bedroom with this Ralph Lauren Saranac Peak Corbet Double Fitted Sheet. 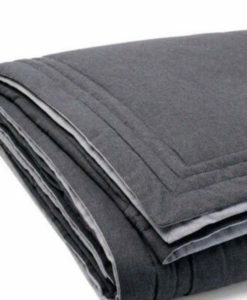 This 200 thread count yarn-dyed cotton sheet will fill you with soothing comfort. 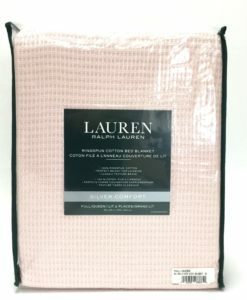 Add a touch of luxury to your bedroom with this Ralph Lauren Saranac Peak Corbet Double Flat Sheet. 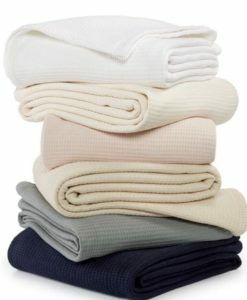 This 200 thread count yarn-dyed cotton sheet will fill you with soothing comfort. 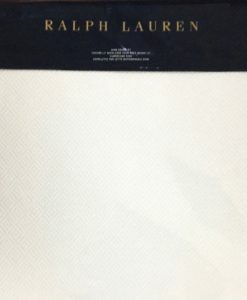 Add a touch of luxury to your bedroom with this Ralph Lauren Saranac Peak Corbet King Flat Sheet. 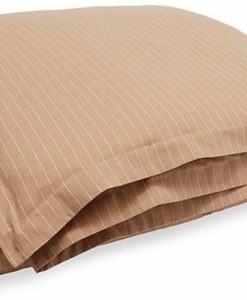 This 200 thread count yarn-dyed cotton sheet will fill you with soothing comfort. 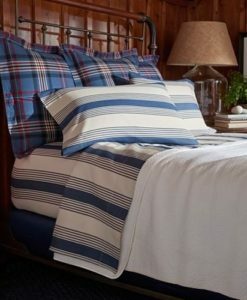 Add a touch of elegance to your room with this Ralph Lauren West Village Harlowe King Duvet Cover. 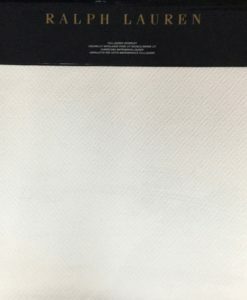 This 200 thread cotton percale duvet cover boasts beautiful details from the crochet trim, pintuck detail and a 3″ flange. 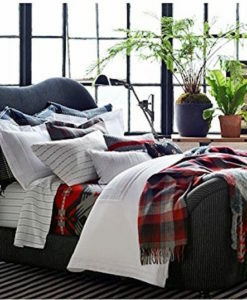 This is the perfect all seasons duvet! 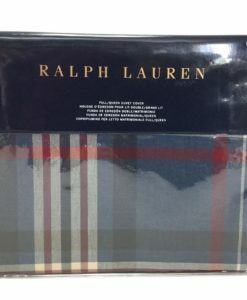 Use it in the summer for a crisp fresh look or layer it up in the winter with flannels and colour!